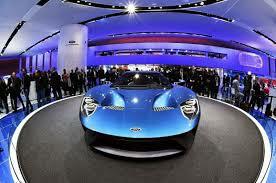 Yesterday, Ford made heads spin at the Detroit Auto Show with the debut of their new Ford GT Supercar. 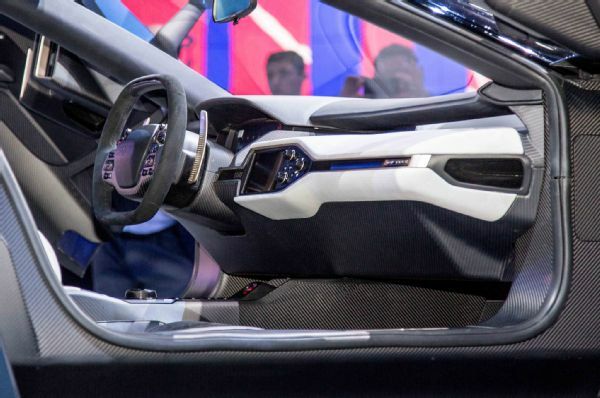 As the successor to the lauded and influential 2005-2006 Ford GT, this new rendition has pushed the boundaries of design and performance to new levels. “The GT was a challenge to our collective team on how to take all of this new technology—lightweighting, aerodynamics, EcoBoost engines—how do you take all of this embodiment into a super car,” said Joe Hinrichs, the president of the Americas for Ford. Scheduled to hit showrooms in 2016, this exciting, titillating ride will not be scaled back in any way, says Ford representatives. Instead, the carbon-fiber bodied ride will lean on its brand-new (and now Ford staple) EcoBoost V6 engine, enhanced with twin turbo chargers that help top fire out a belligerent 600 horsepower. Standard of nearly all super cars, the Ford GT also features a mid-mounted, rear wheel drive configuration, as well as a sleek and aerodynamic coupe body package. 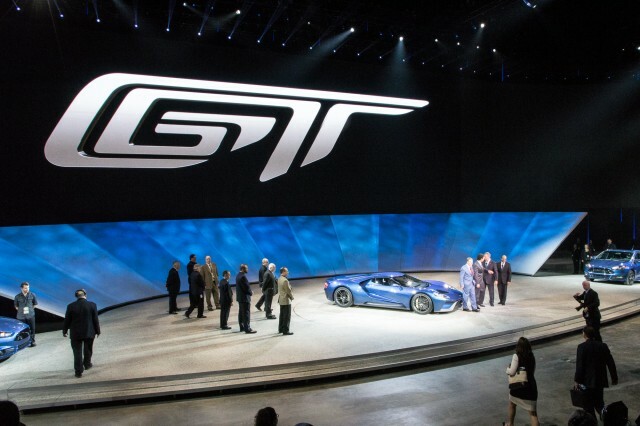 “The GT is the ultimate execution of an enthusiast supercar,” Ford vice president Raj Nair said. In the end, however, this vehicle’s technology is all about spreading the wealth as Ford hopes to one day use this the GT developments across the Ford line-up. 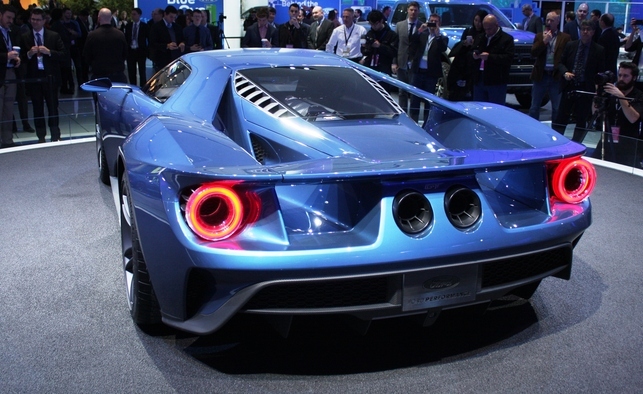 This entry was posted in Ford and tagged debut, detroit auto show, ford, gt, supercar. Bookmark the permalink.